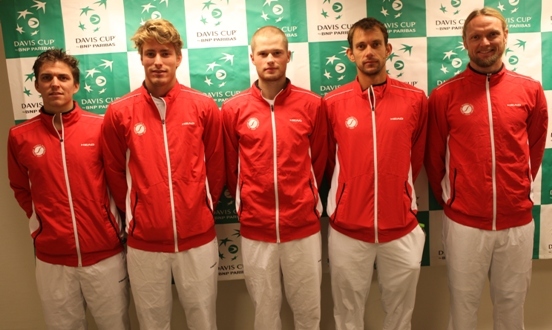 Denmark has announced its line-up for its forthcoming Davis Cup grudge match against Sweden, which starts on Saturday in Slagelse and concludes on Monday. The Europe/Africa Zone Group I relegation play-off will be staged indoors at Antvorskovhallen. Denmark’s team is Frederik Nielson, Christian Sigsgaard, Thomas Kromann and Andreas Bjerrehus. Mikkel Bødker has been in scintilating form for the Arizona Coyotes in the NHL recently. On Saturday, he notching a hat-trick in a 4-1 win against the Ottawa Senators and followed that up by dishing up two assists in his team’s 4-3 triumph over the Toronto Maple Leafs. Frans Nielsen has also been hot, scoring two goals and two assists in two games. The Dutch satirical TV show Zondag met Lubach has been enjoying itself at Denmark’s expense, making a mock commercial telling refugees and migrants that the country is a better choice than the Netherlands. After all, Mohammed was born just outside Copenhagen, it points out, citing that the first ever depictions of the prophet originated in Denmark. Lucas Bjerregaard, 24, finished second in the Hong Kong Open last weekend despite a herculean effort, losing by one shot to British golfer Justin Rose. A double-bogey on the 14th cost him dearly as he finished on -16, five clear of third place. Kevin Magnussen will not be driving for Formula 1 team Lotus next season, it has been confirmed. The Dane was reported to be on a three-driver shortlist, but lost out to Jolyon Palmer. Caroline Wozniacki is reportedly dating Djokovic! Not Novak, the world number one men’s player, but his brother Marko. The pair apparently both live in Monte Carlo.